Minnesota is unique in the United States for having a state learning standard specifically focused on the indelible musical contributions of its region's own native cultures and peoples: "Describe the cultural and historical traditions of music, including the contributions of Minnesota American Indian tribes and communities." Because of its cultural specificity and schools' understandable concerns about misrepresenting those communities, it is a challenging standard for many music educators to teach. As a composer, singer, instrumentalist, and leader, Lyz Jaakola is an extraordinary ambassador for Ojibwe-Anishinaabe music and culture. In this Class Notes video, she offers an overview of Ojibwe (also known as Chippewa) identity, which is part of the larger group of peoples known as Anishinaabe, taking us through various kinds of Ojibwe musical expression, and offering historical and traditional insights along the way. 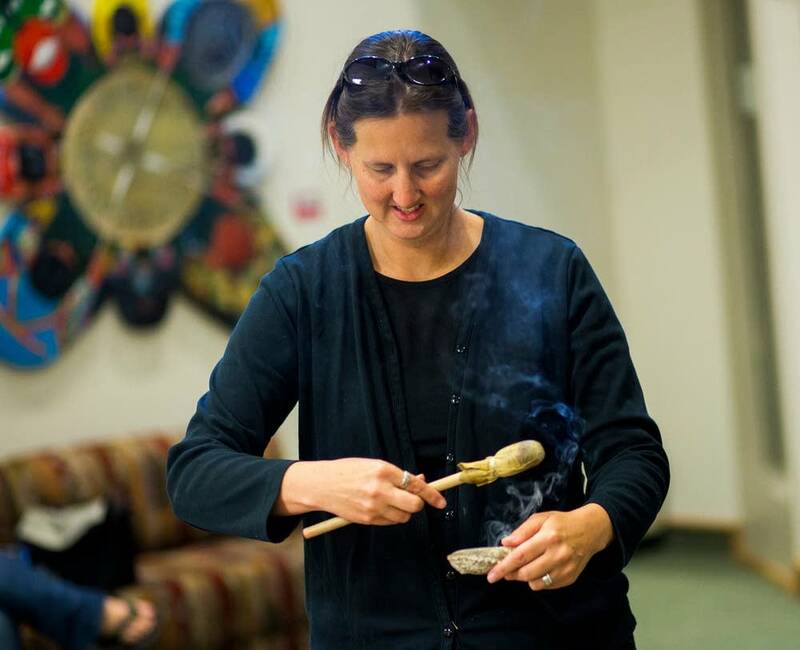 Lyz Jaakola has also served as one of MPR's Class Notes Artists from the beginning of the program, traveling the state to perform for schoolchildren and their educators. More recently, she was honored with a 2014 Sally Award for of her work in raising awareness and appreciation of Native music and culture throughout Minnesota. These and several other Class Notes videos with accompanying curricula, along with Classical MPR's other education initiatives, can be found here.